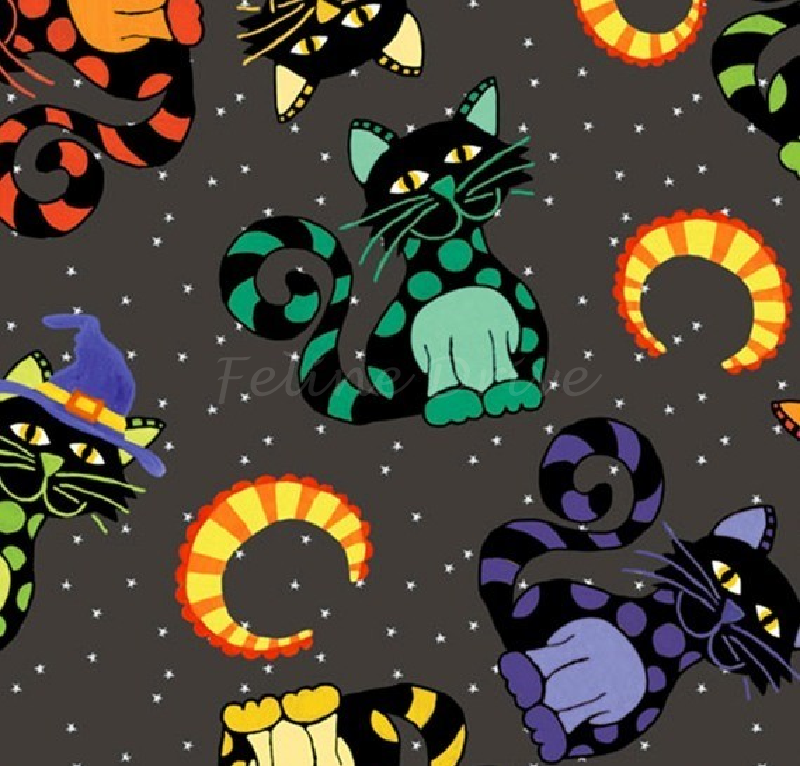 Jennifer Heynen designed this Halloween fabric that features cute and not-so-spooky kitties! 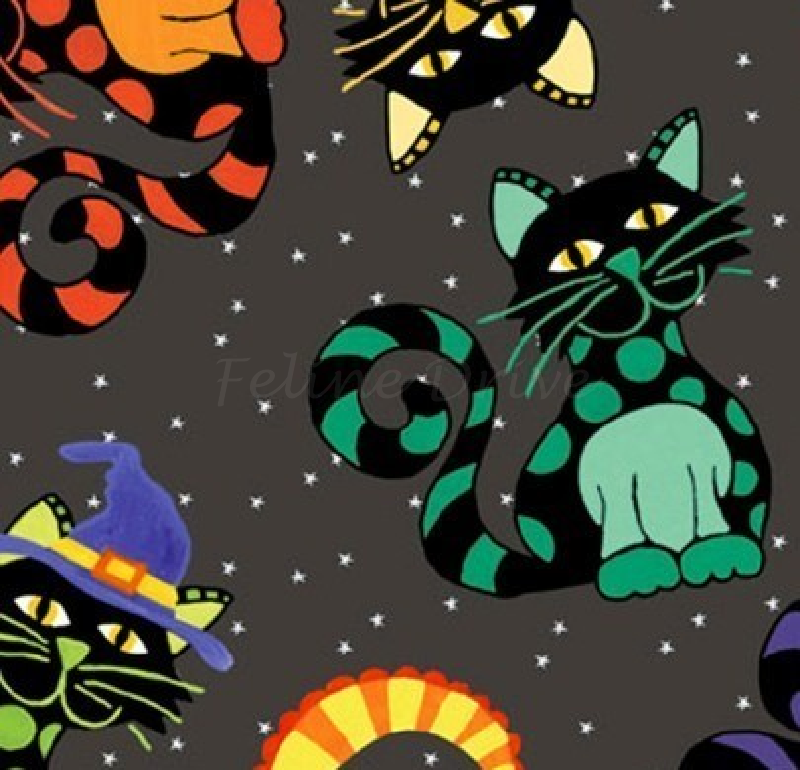 Cats are black with colorful dots on a dark gray background sprinkled with tiny stars. Print Size:Cats are approximately 3" tall.